Forever Living Products – we could not live forever using any product, but there are those that significantly improve our quality of life and life standard directly and indirectly. What kind of company is Forever Living Products and what does it offer? Forever Living Products, or shortly Forever Living or just FLP, was founded by Rex Maughan, who has been successful and always seeking new opportunities and innovative businessman. This resulted in his interest in the network marketing industry as an alternative to traditional marketing and business. He found this as an interesting area, as a new industry and a chance to realize the financial freedom and independence for many people all over the world. This directed its efforts in establishing a marketing strategy to attract people and to realize profits. He was aware that the “magnet” for this type of business are quality products and decided to use the beneficial characteristics of Aloe Vera to create products that improve our health, beauty and worldview. This applies to all companies of this type, not only for Forever Living – besides attracting charismatic distributors, the company needes to offer quality products and competitive prices than equivalents on the traditional markets. Only this way starts the natural element of recommendation for the use of a product. Forever Living would not have such growth even in times of crisis, if their users are not satisfied with their products and not consume them and recommend to friends and relatives. But let’s get back to the story of Forever Living to prove to prospective distributors that in the face of this company have a reliable partner with long experience and a guarantee for success. The beginning is on May 13, 1978, when FLP held its first business meeting at which were presented the products and the marketing plan. 30 years later, Forever Living is one of the business leaders in 140 countries with turnover over 2.5 billion dollars per year. Forever Living has more than 2000 ha plantations in the U.S., Caribbean and Mexico to ensure aloe as raw material for production. 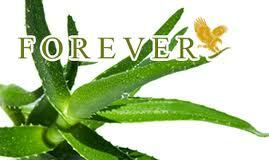 That makes FLP the largest producer, processor, the most serious supplier and distributor of aloe vera in the world. Forever Living have very wide product range of food and cosmetic products with aloe vera, bee products, etc.. An interesting fact is that Forever Living Products has the largest installation in the world for processing natural bee products collected in Sonoran desert in Arizona. The main objective of Forever Living is to achieve a more cognitive level of products and availability of products to a network of distributors – present and future ones, and to provide them with promotional materials, meetings, trainings, so that they feel supported by Forever Living and contribute to expanding the network of distributors of the company. We will be happy if we can find useful and answer your questions about the company, the products, about the business opportunity to achieve financial independence and freedom. 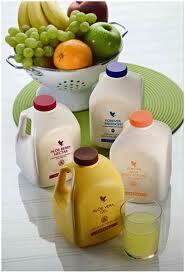 Forever Living has had steady growth during the favorable and unfavorable economic periods. This is an opportunity to overcome the crisis now and earn as a distributor of Forever Living extra income to rise your standard of living. That’s why Forever Living products make our lives better directly and indirectly. Directly – consuming these products we feel the strenght of health and beauty. And indirectly – making people around us to consume them too, we obtain resident, passive income, which again raise our life standard. The effectiveness of microbial phytase is that it frees up in feed ingredients phosphorus bound in phytate. Effect of microbial phytase in proportion to the total amount of phytic phosphorus: the more phytates, which contains phosphorus, the more phosphorus is released under the influence of microbial phytase. Phosphorus availability is increased by adding the feed phytase of microbial origin. Therefore, the feed components are dependent on the amount of phosphorus that is in phytate. According to the table, most of the microbial phytase contained in grains and embryos of corn grains. Diets based on grains, enhance the absorption of phosphorus contained in fitatnyh complexes than rations containing dry fermented grains with solubles (DDGS), or high-protein dry fermented grains (HP DDG), which contribute to the very small (low) absorption of phytic phosphorus. The impact of microbial phytase on the different types of food is different, so you can not accurately make a diet for pigs, taking into account the overall mechanism of action of microbial phytase. However, if you know that the digestion of phytate phosphorus promotes microbial phytase addition, we can determine the exact amount by which to increase the energy value of food by adding microbial phytase. The consequence is that all components must have some indicators of digestibility of phosphorus associated with the availability of phosphorus with and without microbial phytase. Using figures from the table number 1, indicators of digestibility of phosphorus in cereals should be introduced in the development of programs and form 40.9% (without phytase) and 67.5% (with phytase). If different levels of microbial phytase, the digestibility of phosphorus derived from each level of phytase must be specified. This approach will lead to the most accurate way to determine the value of phytase in the diet of pigs.